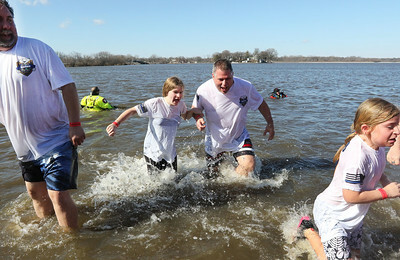 James Williams, of Lake in the Hills, Special Olympics global messenger, and Sgt. 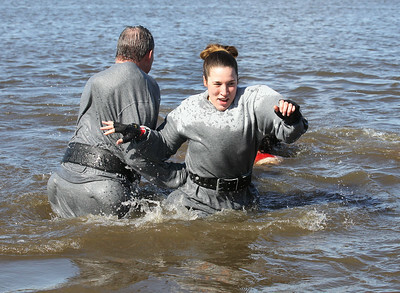 Amy Williams with the Huntley Police Dept. 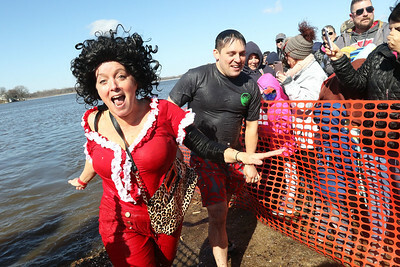 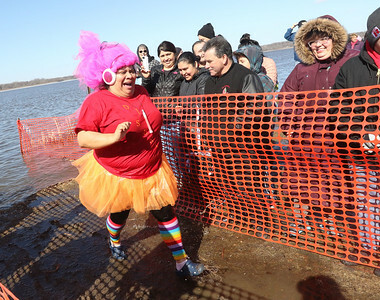 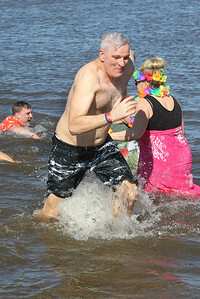 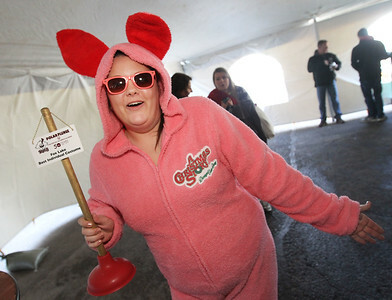 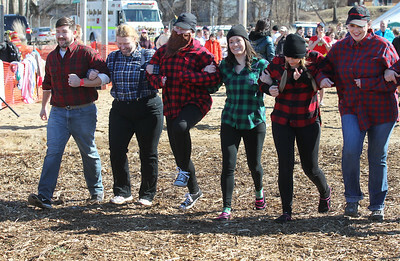 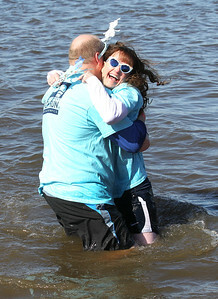 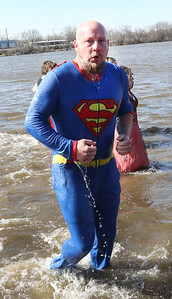 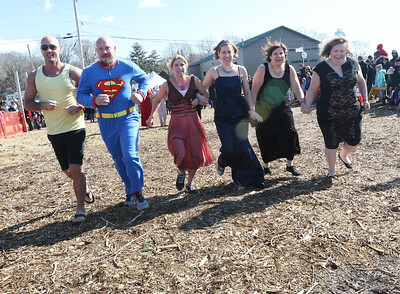 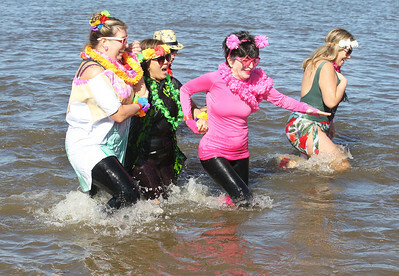 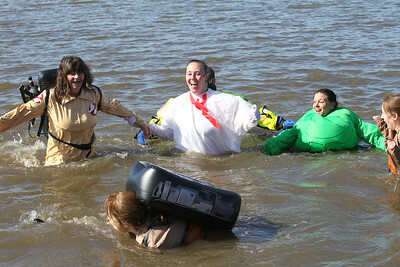 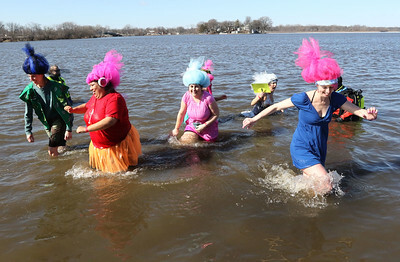 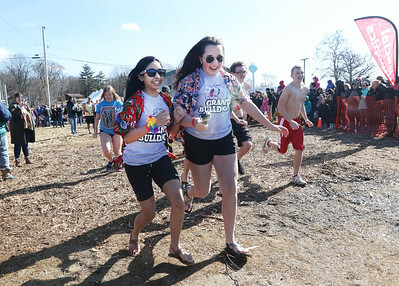 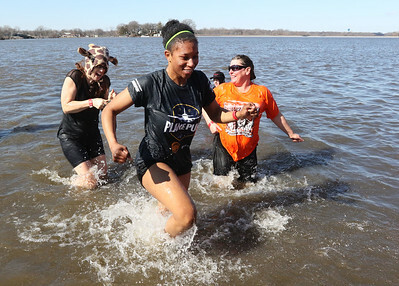 run out of the water during the Polar Plunge at Lakefront Park in Fox Lake. 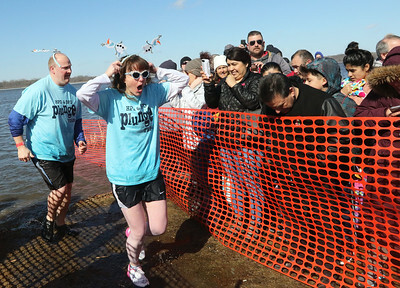 Proceeds from the event will benefit the athletes of Special Olympics Illinois.